Autofresh is the sole importer of REMUS Automotive products in Indonesia. We distribute these quality exhaust systems through our dealers. “I knew it was virtually impossible, but we were going to make it!” and indeed it turned out that way. 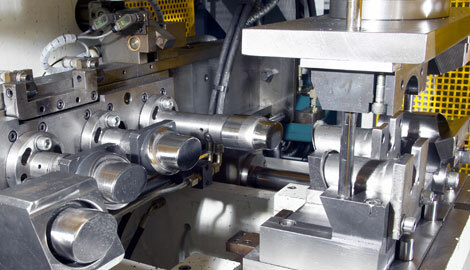 Under full pressure, the production hall was completed and the production started. “During the morning in the production, during lunchtime and in the evening working on R&D and in between, training staff and optimizing production techniques. As a team, we were able to successfully manage all our duties says Otto Kresch, CEO REMUS. That is how the wolf began its string of successes and continues to do so. In less then 5 years, REMUS managed a dynamic leap to become world leader in the manufacturing of sport exhausts In 5 different expansion stages, the production area was increased over the years and in spring 1999 reached a massive 12.000 square meters. In 2002 the new Research and Development centre was opened, this opened up many different avenues in the development of mechanical and acoustic features for sport exhaust systems. In 2006 a new hall was build with approximately 5.000 square meters production space and featured a state of the art logistic centre to serve the demands of different markets and clients. Today, not only tuners but many well know vehicle manufacturers are REMUS customers. Over 90% of the production and increasing steadily is exported to over 60 countries world wide. From an idea, an ambitious plan and only 5 employees, REMUS become over the years a renowned international business and is today a major global partner in the development and manufacturing of many types of exhaust systems. The REMUS R&D centre offers a wide range of possibilities regarding the acoustic development of sport exhaust systems. Due to tight legal regulations and more specific customer requirements it became fairly difficult to develop the perfect sound. A considerable part of the REMUS engineering crew works on “Sound Design”. In the REMUS acoustic laboratory sound can be individually optimised, ranging from full racing sound to sonorous street sound. In this sense, costumer specific sound is generated and sent digitally to the customers of the automobile, motorbike or tuning industry. Highly qualified employees, “state of the art”-technologies and multiple development loops grant not only the creation of the distinctive REMUS sound but also of customer specific sounds. 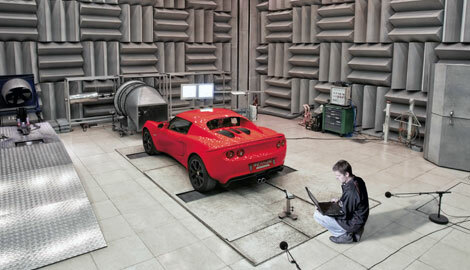 The acoustic test room offers the possibility of carrying out all acoustic measurements under standardized conditions. Apart from the obvious insulation against all external noise, this room absorbs virtually all noise directly emitted by the measured object. This prevents reflections, echo and hall effects and ensures -conclusive, repeatable measurements. The room concept allows acoustic tests to be carried out independent of weather and under strict observance of secrecy regulations. These tests include, among others, measurement of noise from moving as well as stationary vehicles, internal and external sound quality measurements with head and torso simulator, as well as sound intensity measurements to determinate the location of sound sources.